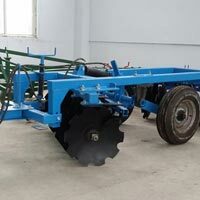 This heavy disc Harrow has high efficiency, strong capacity to plough into the soil and also loosen the soil. 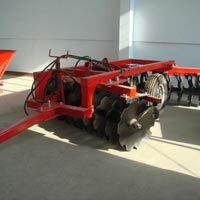 This product offered by us can highly adapt to sticky heavy soil, cultivated fields easily. 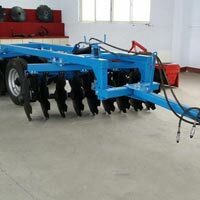 The square tubes welded together ensure simple structure and good rigidity. 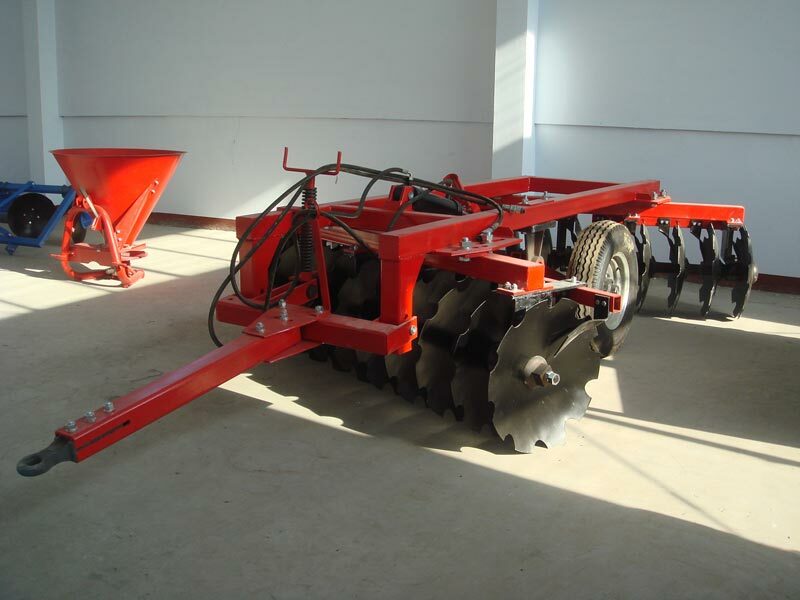 The hydraulic lifting rubber wheels provide easy transportation and improve production efficiency and lifetime of the harrow. Order away in bulk quantity from us at nominal rates! 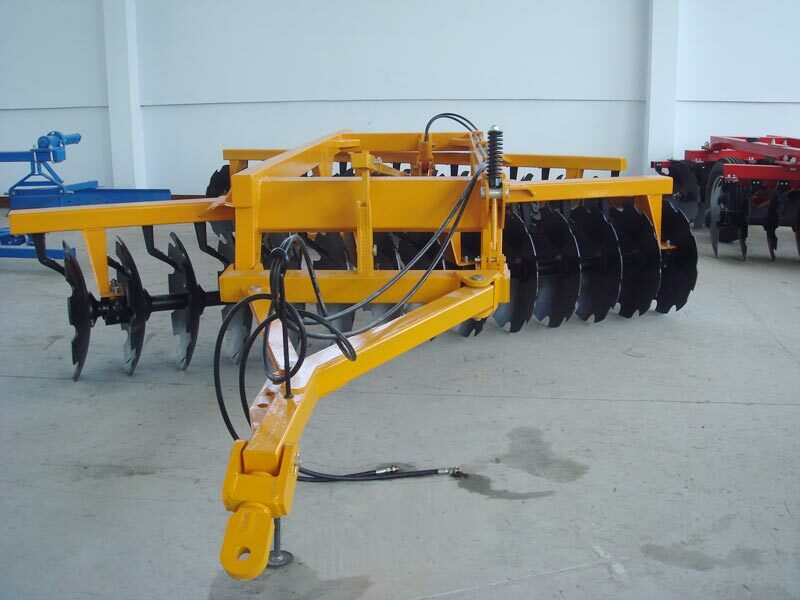 Detail : 1 BZ series hydraulic pressure offset heavy disc harrow has the high working efficiency, strong capability into the soil , and after plough loosen soil . 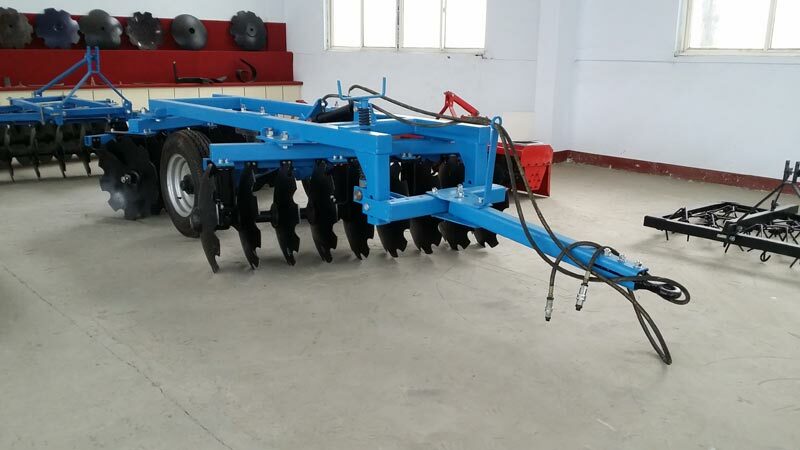 this series can highly adapt to the sticky heavy soil , uncultivated field and those plots of many weeds . 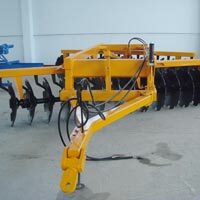 This harrow is made of square tubes welded together which ensures simple structure and good rigidity .The harrow is also equipped with hydraulic lifting rubber wheels for convenient transportation and small turning radius, thus the production efficiency and lifetime of the harrow is dramatically improved .